Will All Of My Friends And Family Know If I File For Bankruptcy? Not unless you tell them. It’s true that filing a Missouri bankruptcy is a public act (because our Sunshine Laws are set up so as to disallow the government from keeping secrets). But it’s not as if just anyone can go online and look up information on who has filed for bankruptcy. When you file bankruptcy (whether it is a St. Louis Chapter 7 bankruptcy or a St. Louis Chapter 13 bankruptcy), you are required to disclose all sorts of pertinent information about yourself. This would include verification of your household income, a list of your assets, a complete list of your debts, and other information related to your expenses (like how much you spend per month on food, utility bills, charitable contributions, etc.) Once all this information is gathered by your attorney, a case can be filed with the court. Roughly thirty (30) days after you file for bankruptcy, you are required to attend a hearing called the ‘341 Meeting of Creditors’ (named after Section 341 of the Bankruptcy Code). It is a mandatory hearing that you must attend (your attorney will be there with you) at which the Bankruptcy Trustee will ask you a series of questions related to your case. This hearing is actually a chance for any of your creditors to show up and ask you questions about the debts that you have listed. However, it is a rare occasion when a creditor shows up to do so; 99% of the time, it is just the Trustee asking you his/her basic questions, and then you are dismissed a few minutes later. But the 341 hearing is the only appearance that you’ll have to make, and the only people attending this hearing are all the other people who have filed for bankruptcy, their attorneys, and the Trustee. It’s not as if a list of names is compiled and then printed in the local newspaper the next day. Your creditors, of course, will be notified of the fact that you’ve filed. But then that is necessary, because you certainly do not want them calling you anymore trying to get you to pay money that you don’t have. Other than that, if anyone knows about the fact that you’ve filed, it’s almost certainly because you’ve told them. It should be pointed out that if you file a Missouri Chapter 13, more often than not, a wage order is created so that your monthly payments can be made on time. When you file a Chapter 13, a repayment plan is constructed. This plan runs between three and five years in length, and dictates which creditors will be paid back and how much they will receive over the life of the plan (some will be paid in full, some will be paid partially, and some will not receive a dime). The wage order is basically a document from the court that instructs your payroll department to deduct the amount of the monthly payment from your paycheck. So let’s say that your monthly Chapter 13 payment is $300, and you are paid bi-weekly. This means that each pay period your payroll department will take out $150 and send it straight to the Trustee. The Trustee then disperses this money to the various creditors listed on your repayment plan. But this method of payment is far easier, much more efficient, and reduces the chance of late payments. 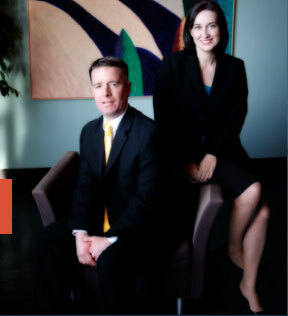 The affordable St. Louis bankruptcy attorneys at Brinkman & Alter, LLC have been making sure that our clients are protected and safe from their creditors for years. Our goal is to help guide you through the process from start to finish, and get you the fresh start / clean slate you deserve.